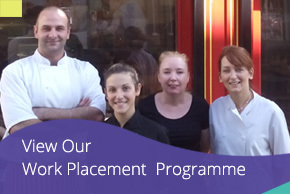 The Shannon Academy of English language school was established in Athlone, a large and vibrant town in the centre of Ireland in 2001 by school director, Caoimhe O’Connell. 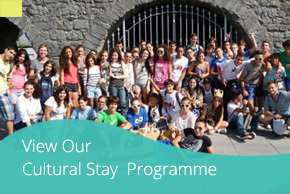 What started as an English language Summer School for Spanish and French students has, over the years, grown and developed into an all-year-round, multicultural, English language school operation offering a number of innovative English language programmes. 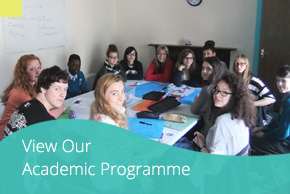 From the beginning, the school’s ethos has been built on providing quality English language courses and programmes in a safe and enjoyable environment. The “Irish experience” is spoken of with great enthusiasm by all students who have taken English courses here in Ireland. What makes this experience so unique results from the good nature of Irish people; their friendliness, courtesy and willingness to help are, indeed, admirable. 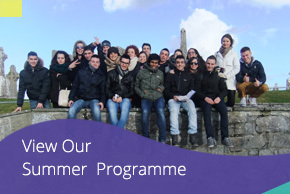 Today, Shannon Academy of English welcomes language students from all over the world to participate and learn in its year-round programmes, including a Summer Programme, Academic Programme, Cultural Stay Programme and Work Placement Programme.